Pep Guardiola has disagreed with comments made by Manchester City midfielder İlkay Gündoğan following the club's 1-0 defeat to Tottenham in the Champions League quarter-finals. The German midfielder claimed that his side lacked bravery in the first leg in north London, adding that Sergio Aguero's early missed penalty was the catalyst which caused Manchester City to shy away from the match. 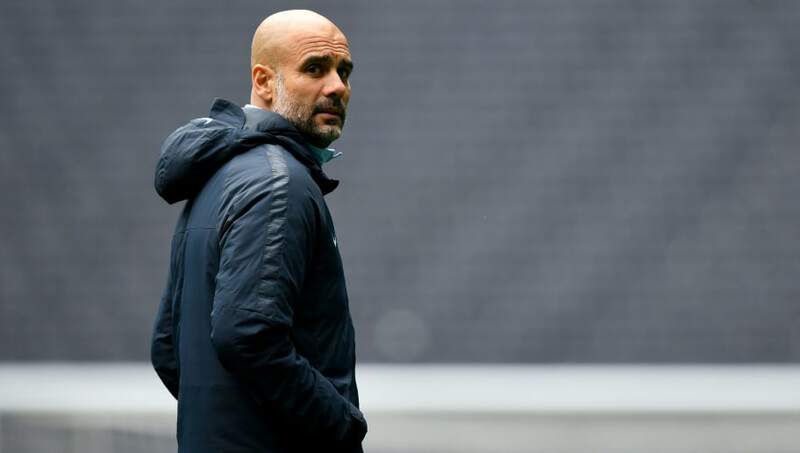 But Guardiola claims his midfielder's analysis of the match was wrong, insisting that his side had the match under control even after conceding to Son Heung-min's low strike underneath goalkeeper Ederson. "I don’t agree with him. Absolutely not," Guardiola said about Gündoğan's comments, quoted by The Telegraph. “There are games when we concede a goal and we are not there, but in this case, we conceded a goal and nothing happened. Especially in the second half, it was under ­control. "Of course we want to do well, especially in the Champions League, but in that case, in this ­specific game, I don’t think I agree. "He can say whatever he wants. I like when they express what they believe, but it’s happened many times in my career in specific games when they lost a little control. Regarding this specific game, it did not happen." Manchester City have to face Crystal Palace on Sunday before turning their attention back to their future in Europe. The Citizens host Tottenham on Wednesday even as they look to overturn the one-goal deficit before inviting the north London club to Etihad Stadium once again in the Premier League three days later.